If it is empty and quiet, a visit to one of the many community halls that dot the landscape in the Northern Rivers region of NSW can be an eerie, lonely experience. The silence, the echo of your footsteps, the feeling that the place is vaguely haunted, the freezing temperatures in the cooler months—these buildings, totems of white settlement in the area on the back of the logging and farming industries, are nothing if not atmospheric. Today many of these halls suffer a kind of identity crisis. No longer the essential hubs of community they once were, they host all kinds of events, including concerts, film nights, lectures, yoga classes, exhibitions, pop-up restaurants and the real earner, weddings. 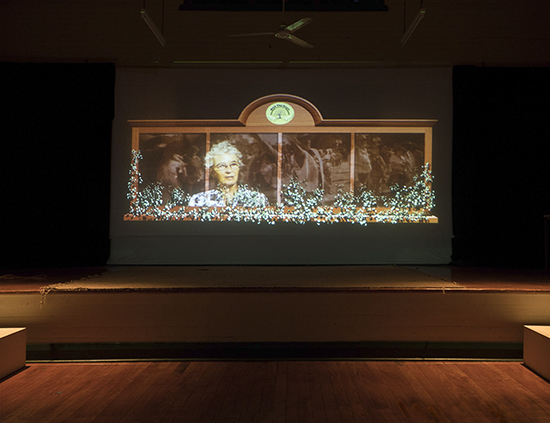 They remain, however, fascinating spaces rich with creative possibility, something Arts Northern Rivers has recognised with its If These Halls Could Talk program. A selection of local and international artists is transforming seven of these halls with site-specific events responding to their unique individual histories and architectural character. 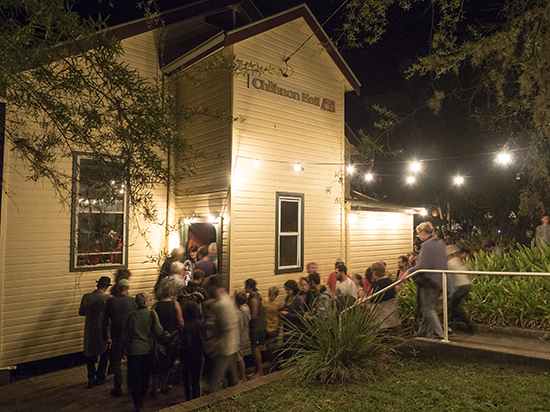 Among these are elaborate theatrical productions from major institutions, such as Dreamland at Eureka Hall from Northern Rivers Performing Arts (NORPA) and a musical produced by Opera Queensland at Tumbulgum Hall. For other events, the halls are under the directorship of individual artists, and it is with these that a true sense of fellowship, of intimacy, is conjured in these buildings. Tweed Heads-based artist Craig Walsh, who has a background in working with regional communities to develop site-responsive pieces, was allocated The Channon Hall for his piece, With The Grain. On a moonlit Saturday night in September, a throng of delighted, dressed-up locals paraded through the village clutching lanterns on their way to the hall in which Walsh had installed a large video projection celebrating the town’s history accompanied by live music, acrobatics and dance. Walsh was inspired by The Channon’s history of collectivism, and specifically, how a town initially defined by the timber industry could develop a strong environmental conscience as the decades went by. Reflecting the philosophy of collectivism, Walsh invited the whole town to contribute, thus creating an occasion (or cause) towards which the entire populace could focus—a rare thing as communities become increasingly fragmented due to technology, economic change, gentrification and other factors. Such an event could come across as an exercise in nostalgia. But Cooke, like Walsh, is invested in reinvigorating the space as a social focal point for the town’s current residents. Aside from its artistic merit, Bonnywood Rising is an opportunity for communion; in its creation alone, the project has engaged 100 participants. 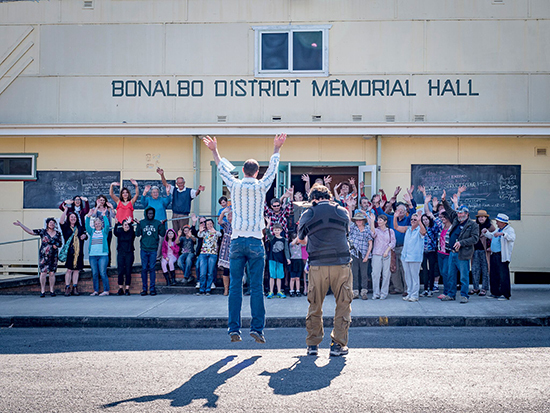 “From talking to community members about their experiences in the hall,” says Cooke, “I found there was a real sense that a lot of the ‘life’ of the hall was in the past, that it had had its heyday and wasn’t used today anywhere near as much as it once was. I wanted to use this project as a corrective to that, to propose collective art-making as a way of refusing to be bound by history.” In fact, the entire If These Halls Could Talk concept can be seen as drawing these unique spaces into a contemporary context, albeit in decidedly old-fashioned ways. If These Halls Could Talk runs until 17 December, details below.